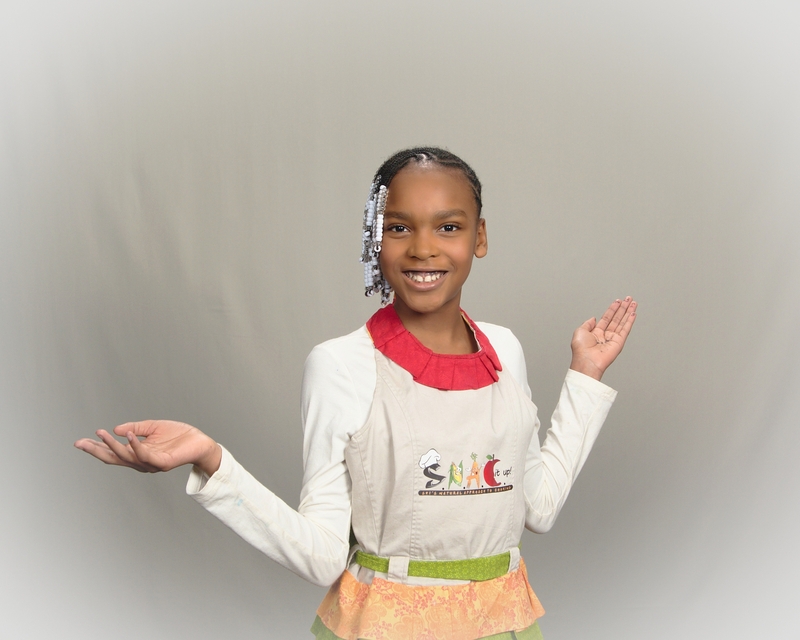 This month’s Homeschooling Spotlight is on Shi Curry, a talented and exuberant 12-year-old homeschooler in Atlanta who has turned her love of cooking into a successful business that includes a cookbook, website, cooking classes, videos, and more. She has been featured in Creative Loafing‘s People to Watch in 2017 issue, and has appeared on NPR, WABG’s Morning Show in Greenwood, MS, and Fox5 Atlanta. 2.) How did you come up with the idea for SNAC it Up!? I am the middle child and didn’t know where I fit in. This caused me to feel unloved. I was disrespectful to my mom and was not a nice kid at all. Because preparing and cooking foods made me happy, I started doing this a lot and my parents noticed this. They started supporting me by buying ingredients and encouraging me. I then began to feel loved and became confident that I could turn this into a business and I did. 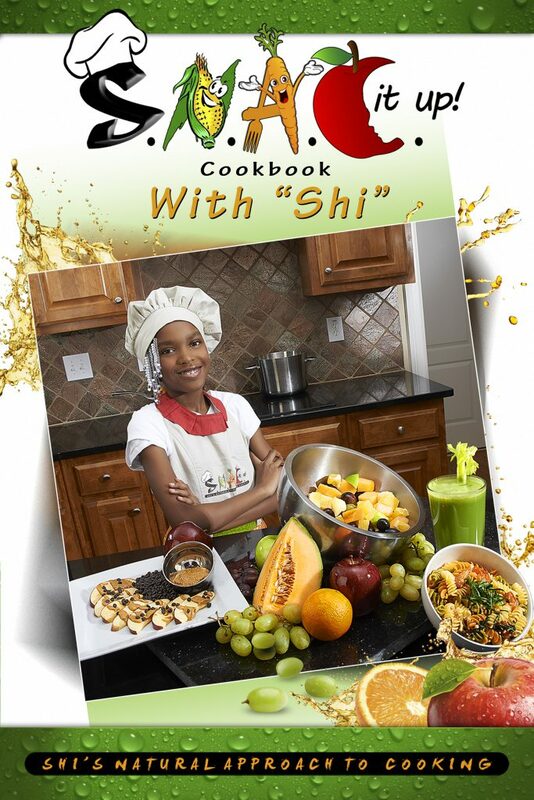 S.N.A.C stands for Shi’s Natural Approach to Cooking. 3.) How long have you been cooking? I have been cooking for 6 years. 4.) Have you always homeschooled? I have always been homeschooled, and love it. 5.) Do you have a favorite thing about homeschooling? My favorite thing about homeschooling is that it doesn’t take long to complete my subjects, and it allows me to work on my business. 6.) Do you think being homeschooled has influenced or affected your business in any way? Homeschooling has helped my business because I can work on new ideas more often, and it allows my brain to be more creative. 7.) What have been your favorite S.N.A.C it Up!-related moments so far? Some of my favorite SNAC it Up! related moments have been meeting President Obama, watching children get excited about healthy foods, and doing positive affirmations videos for children. 8.) What do you like to do when you’re not working on your business? When I am not working on my business, I love playing with my brothers, LOVE to workout, knitting, crocheting, painting, and watching any cooking shows that come on television. To learn more about S.N.A.C it Up!, be sure to visit https://snacitup.com/.